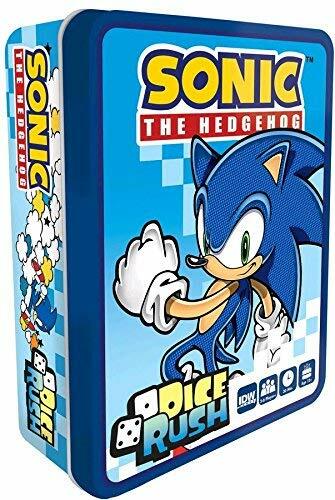 November 2018 Previews Rundown: Sonic Dice Game! The solicitations for issue #11 are out! Unfortunately, for the first time, we have no covers previewed in September’s Diamond Previews catalog according to the website. This may be indication that there may be some major spoilers on the covers or merely that the artwork is not ready to be shown quite yet! It is unclear whether the foe mentioned is the same giant enemy they were fighting in the previous issue or Neo Metal Sonic, himself, but it seems that our villain will bring the power of the Master Emerald to bear against our heroes. Could we see one of Metal Sonic transform once again into Metal Madness or Metal Overlord? Likewise, we will see a slew of other characters facing off against the Egg Fleet in one way or another! Per usual, this issue will be written by Ian Flynn and this arc is being illustrated by Tracy Yardley. The A cover will be illustrated by Jonathan Gray, the B Cover by Tracy Yardley, and, of course, the RI cover will be by Nathalie Fourdraine. The issue will have the standard cover price of $3.99 and is scheduled to hit shelves on November 21st! Interestingly, IDW Gaming also seems to be releasing a new Sonic dice game: Sonic Dice Rush, the following week on November 28th. The game will come in a collectible tin and retail for $19.99. There is no word currently if it will have any sort of comic promotion associated with it! Next Sonic Volume 1 in Comic Shops Now!